Do you hear scratching sounds from your cupboards? Did you find the brown pellets of droppings inside the drawer? If yes, then your business zone will be probably having a rat infestation. The breeding process of rats is very high. It signifies that your business zone will be having a high amount of infestation. The infestation of rats could be spotted easily. Some of the prime signs are the gnaw marks and holes in packets and in other plastic, wooden items and soft items. You need to keep your business protected from rats always because rats are the potential threats to your business zone and for your employees too. Rats will not only affect your workplace, but also the pest will affect your health. You should take up safety practices to keep rats out of your business site by hiring an effective rat service from a reputed pest control company. You do not know about the status of rat infestations in your business zone. Although you have seen a rat in the store-room of your business zone, can you be sure that there is only one rat lurking in your business territory? It is hard to say how old or new is the infestation. Therefore, you should implement rat pest control Perth solutions from our pest control company to know about the current level of infestation and iron out rat problems effectively from our qualified team of pest professionals. Our pest officers will rid you of from the persistent problem of rat infestation now and in future. * The gaps, crevices, holes and cracks are visible to the eyes. Close these opening points which lead rats to get into your business territory with copper mesh or a concrete stuff. * The scraps of food will lure rats to creep in your business territory. Keep your office space clean always. Have secured places to store the food packets and other food products. * Use bins in your office and throw the rubbish out of the bins regularly. * Tell the cleaners to mop the floors of the office daily. * If you have a store-room in the office, then you should get it cleaned from time to time. * Place baits which are designed for rats in places where the pests infest often. It is the work of a pest professional to know how to eradicate rats and their infestation sites from your business territory. Call in the pest officers and make your business territory a place of work and not a home of rats. Your business zone covers a large area. Our pest guys will walk around the territory of your business zone to see the hidden infestation sites. 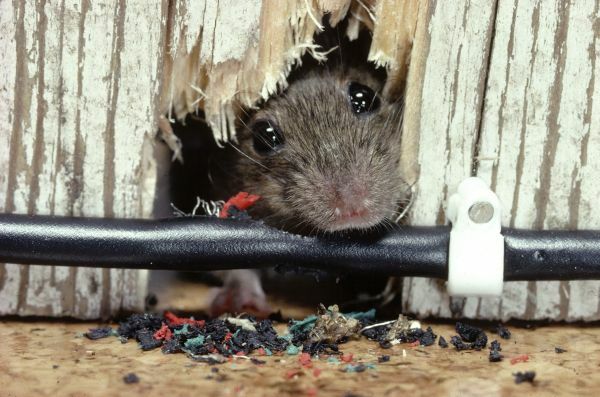 The rat pest control services used by our pest guys will protect your business site from serious damage which results out of rat infestations. The rat control services such as rat baits, rat pesticides and rat gels are enviro-friendly which will create no hassle in your business site.